22 December 2009, Perth, Western Australia. It's now 4 years since we sailed into Brisbane and a lot has happened, most of it good. Nechtan has been officially imported into Australia and so has Tom (he became an Ozzie citizen on Australia Day 26 Jan 2009). We're both have jobs in Perth city - Sue doing geology and Tom IT. We work about 10 minutes from each other and so can take one car to work. 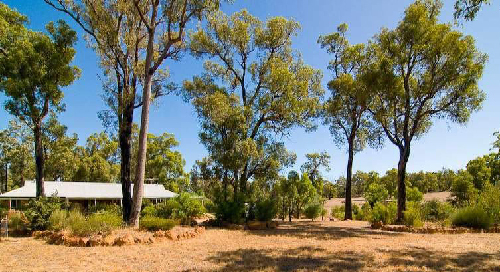 In July 2009 we bought a house with 5 acres in the Perth hills. It's nice and quiet, abundant with wildlife and well worth the drive in and out of town. We're in the local volunteer bush fire brigade and Kalamunda and District Pipe Band, so we're keeping busy and having fun. We still don't know about future plans, but someday Nechtan will get a refit and we'll go sailing again, perhaps to Chile, who knows? Meanwhile we're happy!